It is indeed love. Take care and time to love yourself but in scarcity of time use "Love Nature Tel Cream Slow Vera" for instant burst of hydration. 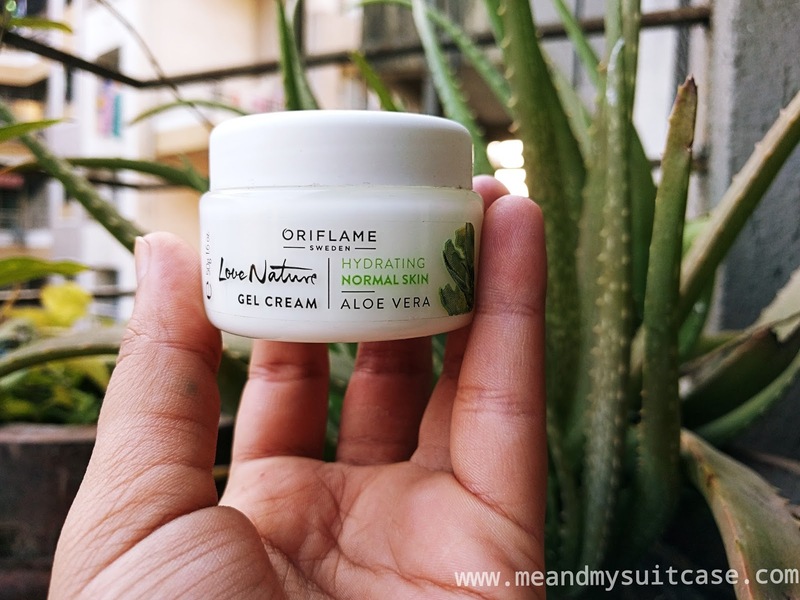 Its gentle, light weight ans smooth gel cream which hydrates, softens, smoothens your skin and as claimed by Oriflame it helps in restoring radiance to your skin. My mum and I used it for a month and she was quite impressed by this product. On applying this, it FEELS like little oily, mind you it only FEELS that way for a moment but than it starts working its magic. It keeps asking hydrated for long, leaving it soft and healthy-looking. Its Dermatologically tested and for Normal skin. The 50 ml, travel bag friendly casing costs INR 349 and is totally worth it.